The publication in 1962 of Lew Binford’s paper "Archaeology as Anthropology" is generally considered to mark the birth of processualism—a critical turning point in American archaeology. In the hands of Binford and other young University of Chicago graduates of the 1960s, this "new" archaeology became the mainstream approach in the U.S. The realignment that the processualists proposed was so thorough that its effects are still being felt today. Predictably, processualism also spun off a number of other "isms," several of which grew up to challenge its supremacy. 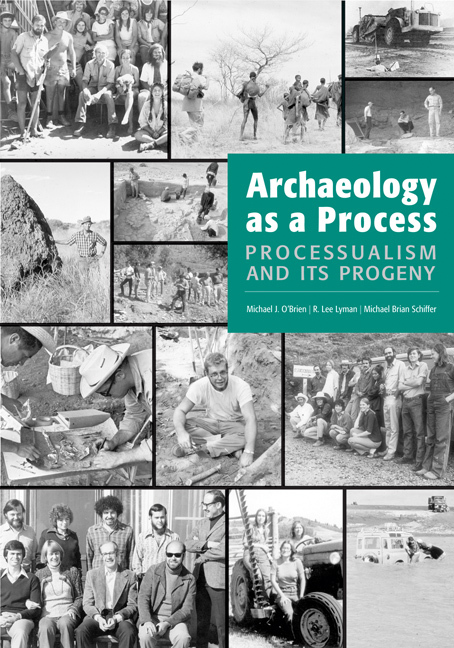 Archaeology as a Process traces the intellectual history of Americanist archaeology in terms of the research groups that were at the forefront of these various approaches, concentrating as much on the archaeologists as it does on method and theory, thus setting it apart from other treatments published in the last fifteen years. Peppered with rare photographs of well-known archaeologists in some interesting settings, the book documents the swirl and excitement of archaeological controversy for the past forty years with over 1,600 references and an in-depth treatment of all the major intellectual approaches. The contributors examine how archaeology is conducted—the ins and outs of how various groups work to promote themselves—and how personal ambition and animosities can function to further rather than retard the development of the discipline. Michael J. O’Brien is dean of the College of Arts and Sciences, professor of anthropology, and director of the Museum of Anthropology at the University of Missouri, Columbia. R. Lee Lyman is professor of anthropology and chair of the Department of Anthropology at the University of Missouri, Columbia. Michael Brian Schiffer is professor of anthropology at the University of Arizona.